A new report says the design won’t change but it'll last longer. While all eyes are on the gizmos and gadgets being unveiled at CES this week, a new rumor is serving up some details about the next generation of Apple Watch. 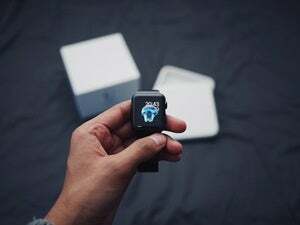 According to a report by the China-based Economic Daily News (and spotted by DigiTimes), the third generation of Apple’s wearable will focus on two key areas: battery life and performance. Apple unveiled the second generation of Apple Watch alongside the iPhone 7 in September. Dubbed Series 2, the device features a brighter display, a better processor in the S2 chip, and water resistance, but kept the same design as its predecessor. Additionally, while Apple didn’t tout specific improvements to the battery, our testing found that the second-generation watch lasted much longer than the original model, pushing into a third day on a single charge. This new report suggests Apple isn’t content with 2-3-day battery life, however. 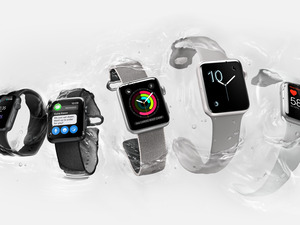 According to DigiTimes, the paper said that improving battery efficiency will be the main focus for the new Apple Watch and other areas “will not see much change.” Previous rumors pegged Apple Watch Series 3 for using more energy-efficient micro LED screens rather than OLED. The report also says Apple is eying a fall 2017 release for the new watch and will be manufactured by Taiwan-based Quanta, the same company that handled the duties for the first two models. Why this matters: Expectations were that the Apple Watch would usher in a new design with the upcoming model, keeping in line with the iPhone’s so-called tick-tock cycle that refreshes the enclosure every two years. Without a new case or some killer features, Apple could have a hard time convincing people to upgrade, unless the battery and performance gains are massive.